“Aogiri” is the Japanese name of the Chinese parasol tree. The aogiri in our movie survived the atomic bombing and now stands in Hiroshima Peace Park. This aogiri originally stood in the courtyard of the Hiroshima Post and Telecommunications Bureau where Ms. Suzuko Numata worked, 0.8 miles from ground zero. The side of the trunk facing the blast was severely burned and hollowed out, but the tree survived. 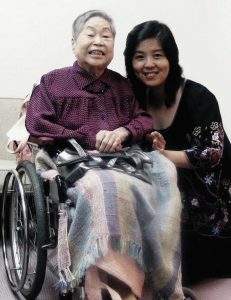 Ms. Numata lost her left leg to the atomic bombing and her fiancé was killed on the battlefield during the war. After surviving the bombing, all she could think of was suicide. One day she saw tiny new buds on the severely damaged aogiri near her office. Those buds gave her hope and the will to live. The bark of the tree grew over the wounds from the blast, as if to heal them. 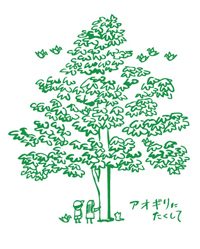 The tree had no way to hide its suffering, but Ms. Numata was profoundly moved to see the tree continue standing, deformed yet dignified, and determined to live. 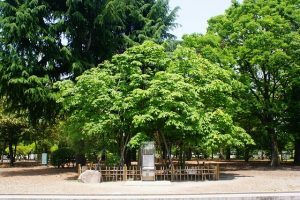 The aogiri that gave hope to Ms. Numata and many others was honored by moving it to its current location in Peace Park. Due to her own lack of mobility, Ms. Numata often sat under her beloved aogiri tree, and it was there that she told thousands of school children about her experience of the atomic bombing and her life as a survivor. Every autumn, when the tree dropped its seeds, she would give the seeds to the children after her talk. 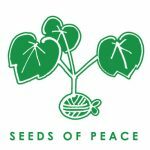 She was sowing seeds of peace, hope, and determination in their hearts. Her kind, symbolic gesture gradually grew into a movement. Now, aogiri seeds are growing in schoolyards all around Japan and in many other countries as well. I first met Ms. Numata in 1986, forty-one years after the bombing. Her story was one of many hibakusha (survivor) stories I heard as I prepared to participate in the Never Again Campaign (NAC). This campaign is a grassroots volunteer campaign to convey the message of Hiroshima and Nagasaki to school children in the USA. 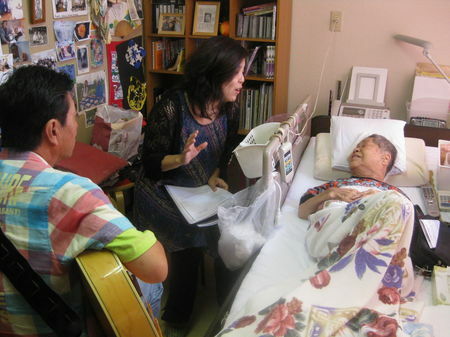 All the hibakusha had powerful effects on me, but I was especially influenced by Ms. Numata. She convinced me that we must break the chain of hatred and start making a chain of love, and we have to start with ourselves. A very special feeling grew in my heart for the vigorous love of life emanating from what appeared to be a fragile, disabled person. Many years later I started to write and sing songs. At one point, I sang for Ms. Numata, after which she sent me an aogiri seedling. Very naturally, this led to a song about the aogiri Ms. Numata loved so much. I couldn’t just sit back and let the time go by. I wanted to create something to pass on the precious legacy of Ms. Numata’s lifework to the future. 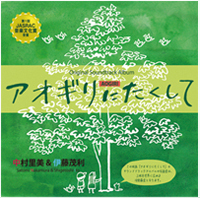 I ended up producing a movie about the meaning of aogiri tree in her life. We pray that the movie “Aogiri” will sow seeds of peace to the hearts of all the viewers. No more Hiroshima! No more Nagasaki! No more Hibakusha! No more war!